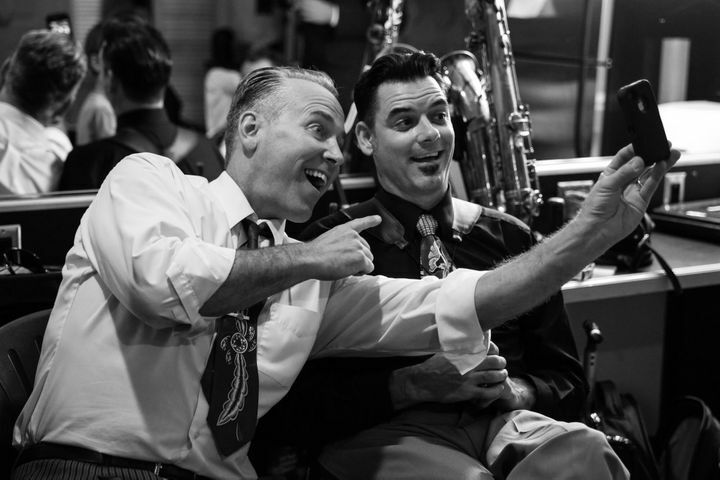 "But first, let's take a selfie...."
Big Bad Voodoo Daddy is on Instagram, and the goal is to be at 10K followers! So amazing! Loved every song. Couldn’t sit still in my seat. Hope to see them again soon. Meeting them after the show was a special addition. Big Bad Voodoo Daddy put on a great show as always. The venue was small, but with great acoustics and not a bad seat in the hall. The amazing thing is, it's still all the same original members, the same as when we saw them in 98 & 05. Will go again if they come anywhere near Central Pa.
BBV Never Disappoints Me! Professional love them! I drove 1 hour to see! Great music and the venue was beautiful. A great place to see a concert. Even though I play in a musical group I have to admit that these guys are the best band in all the land. Phenomenal show!